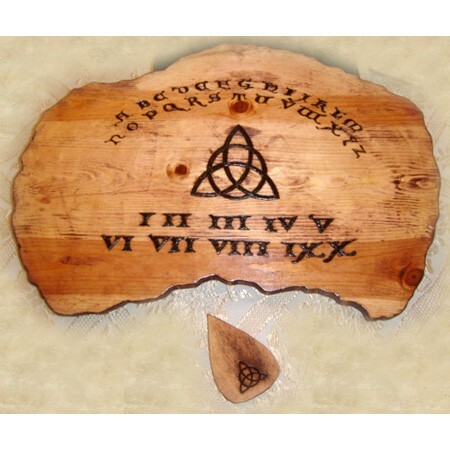 This Charmed Ouija / Spirit Board has a Triquetra symbol adorning it and is made from real wood. The measurements for the Spirit Board are: 23” x14”. 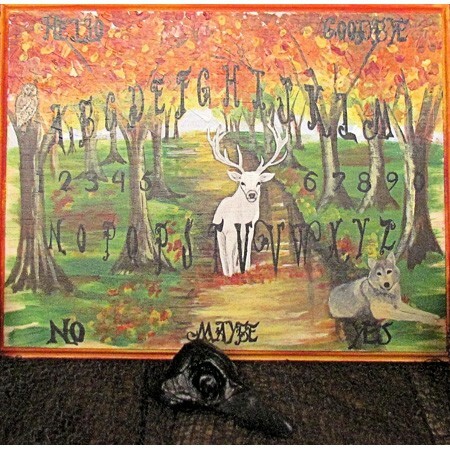 You can custom design your Ouija Board. 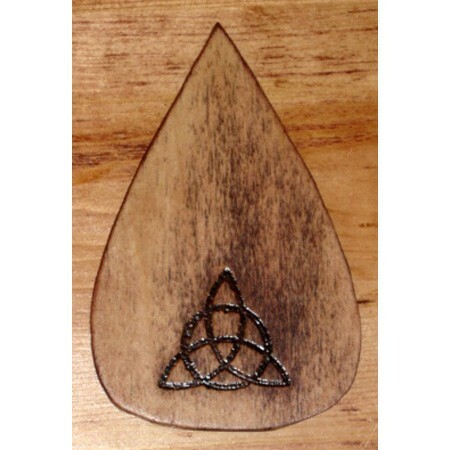 Your Weegie Board can be carved, burned or drawn onto the Board, as well as personalized message placed on the back of the Custom made Spirit Board. Most often known simply as the Spirit Board, this mystical piece also goes by the names Ouija Board or Weegie Board. 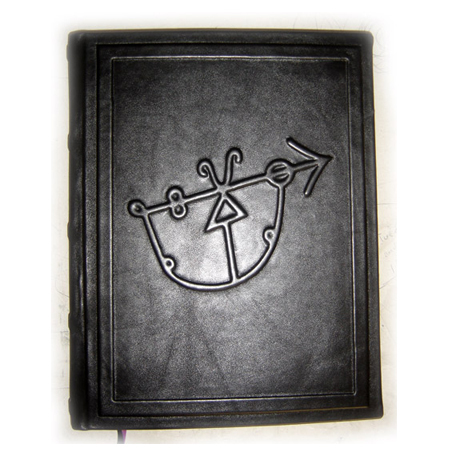 Meant to communicate with otherworldly spirits and entities, the Ouija Board is a must have for any magical artifact collection. 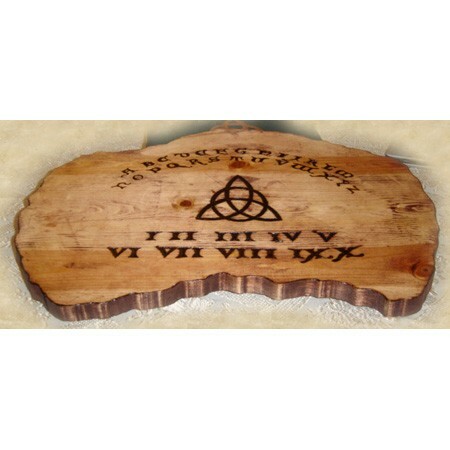 Our Spirit Board Collection includes custom-made, specially designed Spirit, Ouija and Weegie Boards whose wording and lettering carved, burned or drawn into the finest wood available. All Spirit Boards made of the best wood available. 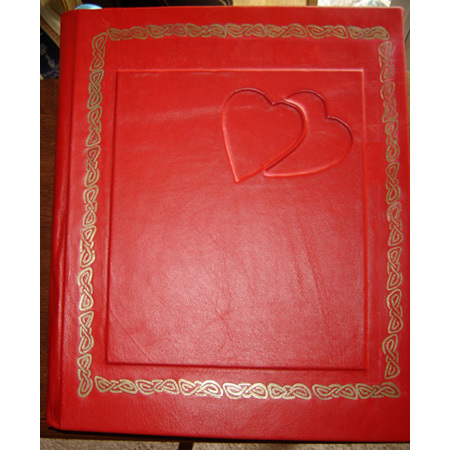 The measurements for custom-made Ouija Boards can be changed upon request. 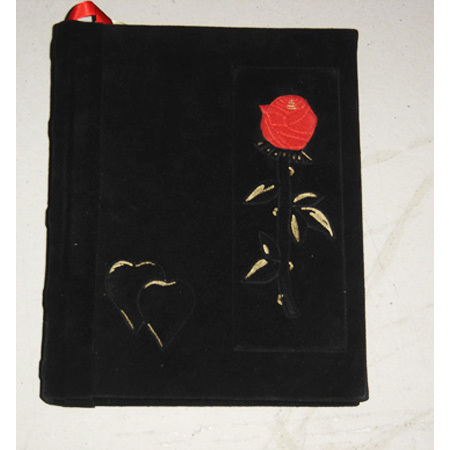 If you have additional questions or customization requests, call our office or contact us using the form below and we will gladly custom design the perfect Spirit Board.